The Pebble Time raised a record-breaking $20 million on Kickstarter earlier this year, and now the smartwatch is nearly here. Pebble has posted on the Kickstarter page that it will start shipping on May 27 – that's Wednesday next week by our reckoning. 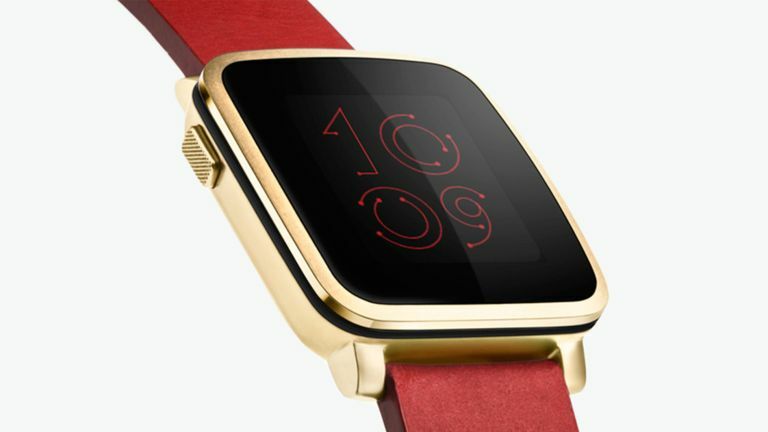 The firm expects all Pebble Time watches pre-ordered by backers to be made by the end of the month. If yours isn't in the first batch to hit the couriers, it shouldn't be far behind. Everyone who pre-ordered by backing the campaign should have a tracking number by the middle of June, according to Pebble. The only thing is, will the company still be around then? TechCrunch reported this week that the smartwatch maker is in financial difficulty despite smashing all records for the amount of money raised on Kickstarter. Sources tell the site that Pebble is having trouble maintaining its growth and has taken out a $5 million loan from a Silicon Valley bank along with a $5 million line of credit. It's asked VCs in the Valley for new capital, but they've reportedly said no. BUt bfore you conclude that this sounds like something Gavin Belson would preside over, we have to say that, while $10 million is a lot to spend at the pub, say, it's not a huge amount for a reasonably well established tech firm that's in need of liquidity to expand further. Perhaps more worryingly, the source also claimed some Pebble employees were "unhappy with the firm's direction", though the only one quoted by TechCrunch said, "We're a young company… The outlook for Pebble is very positive. It's been a remarkable journey thus far." Also, if you've ever read TechCrunch, you'll be aware that not all of its news stories are notable for the positivity of their spin. Anyway, back to the tech: the Pebble Time improves on the original in almost every way and makes the original one look about 50 years old. There's a new colour e-paper screen, it still lasts for seven days before needing a recharge, and has a snazzy new timeline interface. This puts events in chronological order, so you click to see what's coming up – appointments, meetings, etc – and scroll back to see what's already happened, like messages and notifications. A microphone lets you take voice notes and reply to notifications. The device is also curved to better fit your wrist. Pebble also announced it is putting the finishing touches to the companion app for iOS and Android, because obviously it is.